When it comes to choosing the best Senior Care Home for your aging loved ones, you want to make sure that you choose the right senior care home. Most of the senior care homes offer a wide range of programs and senior activities that will fit your or your aging loved one’s lifestyle. As you or your loved one age, you may need some extra help with physical needs, including activities of daily living. This could range from cleaning, shopping , and cooking to intensive help with bathing, toileting, grooming, and eating. If you feel it’s time for you or your loved one to make a change in living arrangements, Day View will be the best option. Our friendly and professional stuff undoubtedly meets the needs and wants of seniors which may change overtime. When physical and medical needs become extreme, Day View’s qualified team has the experience and expertise to meet them. 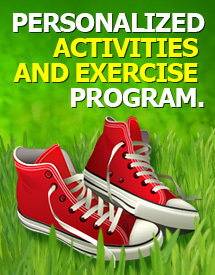 Additional services like exercise, health screening, personal care, therapies, social activities, etc. are available. We offer short-term and long-term care depending on the degree of care the senior resident needs. About one in ten people over the age of 65 have Alzheimer’s and the disease affects more than 50 percent of people over the age of 85. That’s why we specialize in the treatment and care of people with Alzheimer’s and Dementia as they have special needs. Our compassionate stuff can accommodate many special physical and mental situations. They will minimize the stress, which can aggravate the symptoms of Alzheimer’s and dementia. Be sure with our professional stuff and high quality senior care services, your loved one will receive a customized care program, that will meet all his/her needs. Day View offers options for those seniors with special needs and requirements. We understand the unique physical, emotional, and spiritual needs of each person, and proudly meet them. Our friendly stuff assess the emotional, social, and environmental needs of all our patients. Day View offers choices that allow the freedom and independence the seniors need and appreciate. If you care enough about your loved one’s health and safety, rely on our friendly and well-trained staff, ongoing support, and insurance concerns. We are dedicated to providing the highest quality senior care with compassion and respect for each person.